Your source for current NTS information on client solutions, new technologies and innovations, acquisitions and ISO standards. National Technical Systems, Inc. (“NTS”), the leader in qualification testing, inspection, and certification solutions in North America, is pleased to announce that its laboratory in Longmont, Colorado, achieved the ISTA Laboratory Certification. The certification ensures packages undergo rigorous testing to protect against shock, vibration, and atmospheric hazards. 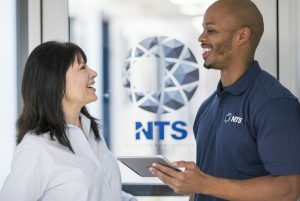 February 20, 2019 | NTS Announces the Acquisition of Sci-Lab Materials Testing, Inc.
National Technical Systems, Inc. (“NTS”), the leading independent provider of qualification testing, inspection, and certification solutions in North America, announced today that it has acquired Sci-Lab Materials Testing, Inc. (“Sci-Lab”) of Kitchener, Ontario, Canada. Financial details of the acquisition were not disclosed. NTS, the undisputed leader in testing, inspection, and certification, is pleased to announce its strategic partnership with the United States Specialty Sports Association (USSSA). The partnership designates NTS as the sole- source for all certification testing of Slow-pitch Softball and Senior Youth Baseball Bats, underscoring USSSA’s commitment to maintaining the highest level of player safety and game integrity. National Technical Systems, Inc. (“NTS”), the leader in qualification testing, inspection, and certification solutions in North America, is pleased to announce the addition of electromagnetic interference (EMI) and interoperability testing to its Rustburg, Virginia naval research and test facility. National Technical Systems, Inc. (“NTS”), the leader in qualification testing, inspection, and certification solutions in North America, is pleased to announce its donation of a high-tech wheelchair to the Wounded Warrior Regiment. National Technical Systems, Inc. (“NTS”), the leader in qualification testing, inspection, and certification solutions in North America, is pleased to announce the expanded capacity and new testing capabilities at its Anaheim laboratory. National Technical Systems, Inc. (“NTS”), the leader in qualification testing, inspection, and certification solutions in North America, is excited to announce the opening of its new Corporate Center in Anaheim, CA. National Technical Systems, Inc. (“NTS”), the leader in qualification testing, inspection, and certification solutions in North America, is pleased to announce Gary Ostendorf as the new General Manager for NTS’s testing facility in Chicago, Illinois. National Technical Systems, Inc. (“NTS”), the leader in qualification testing, inspection, and certification solutions in North America, announced today that effective July 1, 2018, Rich Adams, formerly Senior Vice President of Testing Operations in the West, has been appointed President and Chief Executive Officer and Hector Paez, formerly Senior Vice President of Testing Operations in the East, has been appointed Chief Operating Officer. National Technical Systems, Inc. (“NTS”), the leader in qualification testing, inspection, and certification solutions in North America, is pleased to announce the hiring of Jeff Keene as its Chief Information Officer. Mr.
National Technical Systems (NTS), the leader in advanced testing, inspection, and certification solutions in the North America, is pleased to announce the launch of its newly designed website at www.nts.com. 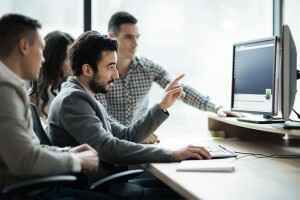 The completely revamped website features simplified design, improved functionality and enriched content areas to help customers make well-informed decisions about their testing and inspection needs in different sectors such as space, defense, aviation, nuclear, energy, technology, transportation, medical, and telecom. National Technical Systems, Inc. (“NTS”), the leading independent provider of environmental simulation testing, inspection, and certification solutions in the United States, is pleased to announce the completion of a new 40,000 square foot facility in Mount Prospect, Illinois. National Technical Systems, Inc. (“NTS”), the leading independent provider of environmental simulation testing, inspection, and certification solutions in the United States, has recently acquired the test equipment assets for an additional facility in Longmont, Colorado. Financial details of the acquisition were not disclosed. National Technical Systems, Inc. (“NTS”), the leading independent provider of environmental simulation testing, inspection, and certification solutions in the United States, is pleased to announce the completion of the expansion of its EMI testing capabilities to include state-of-the-art reverberation test chambers at five of its U.S. laboratories. National Technical Systems, Inc. (“NTS”), the leading independent provider of environmental simulation testing, inspection, and certification solutions in the United States, announced today that it has acquired Chesapeake Testing Services (“Chesapeake”) of Belcamp, Maryland. Financial details of the acquisition were not disclosed. National Technical Systems, Inc. (“NTS”), the leading independent provider of environmental simulation testing, inspection, and certification solutions in the United States, announced today that it has acquired EMC Integrity (“EMCI”) of Longmont, Colorado. Financial details of the acquisition were not disclosed. National Technical Systems, Inc. (“NTS”), the leading independent provider of environmental simulation testing, inspection, and certification solutions in the United States, announced today that it has acquired Microtek Laboratories of Anaheim, California. Financial details of the acquisition were not disclosed. National Technical Systems, Inc. (“NTS”), the leading independent provider of environmental simulation testing, inspection, and certification solutions in the United States, announced today that it has acquired Trace Laboratories. Financial details of the acquisition were not disclosed. National Technical Systems, Inc. ("NTS"), the leading independent provider of environmental simulation testing, inspection, and certification solutions in the United States, today announced that it has acquired the testing business of Wyle Laboratories, Inc. ("Wyle Labs"). Operating out of three state-of-the-art facilities, Wyle Labs' testing business is a leader in environmental, dynamics, structural, EMI/EMC, fluid flow, and acoustics testing solutions, primarily serving the nuclear, space, and defense end markets. Terms of the transaction were not disclosed. National Technical Systems, Inc. (NASDAQ: NTSC) (NTS), a leading provider of testing and engineering services, announced today that it has signed a wide-ranging national general services agreement with Meggitt PLC, a UK-based global engineering group that specializes in extreme environment components and sub-systems for aerospace, defense and energy markets. National Technical Systems, Inc. (NASDAQ: NTSC) (NTS), a leading provider of testing and engineering services, announced today that it has expanded its ordnance safety testing capabilities to include Hazard of Electromagnetic Radiation to Ordnance (HERO). HERO testing is now a featured capability at NTS’ Boxborough facility. NTS recently completed a series of qualification tests on NASA's Lunar Atmosphere and Dust Environment Explorer (LADEE), a satellite that will orbit the moon to gather detailed information about the lunar atmosphere, conditions near the moon's surface and environmental influences on lunar dust. NASA's LADEE Observatory is scheduled to launch in the late summer of 2013. National Technical Systems, Inc. (Nasdaq: NTSC) (NTS), a leading provider of engineering services, is pleased to announce the approval of its Newark, CA laboratory as a Verizon Independent Testing Laboratory (ITL) for NEBS testing to the GR-63 CORE standard. This development comes after an extensive preparation for the approval process and follows the recent A2LA accreditation of the Newark facility. National Technical Systems Inc. (NASDAQ: NTSC) (NTS), a leading provider of engineering services, announced today that its Test Systems Engineering Division has been selected by The Boeing Company to provide Automated Test Equipment (ATE) systems in support of its 777 Program. The ATE systems will perform tests on 777 systems, avionics and engines using automation to quickly perform measurements and evaluate the test results.